Fall mums are great, no doubt about it. 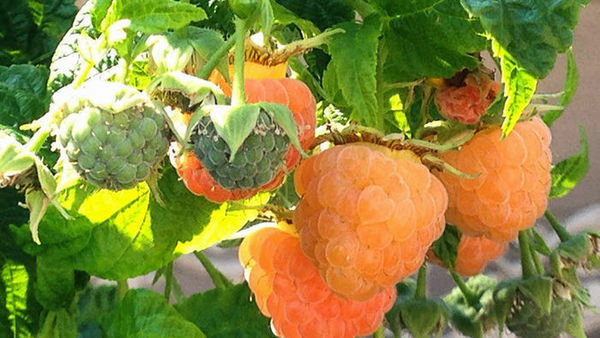 They’re cheery and inexpensive, and they make a colorful impact when most plants are fading into fall oblivion. But come November, aren’t you just a little bit tired of seeing them on every single doorstep and in every single window box? 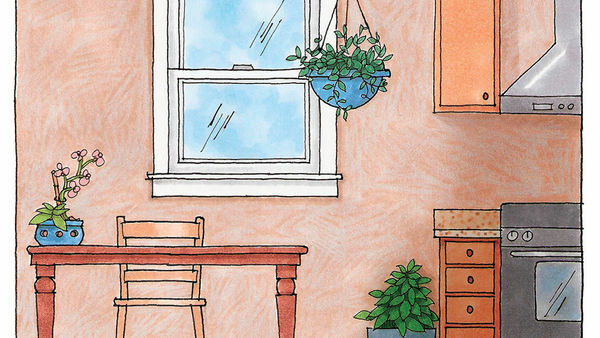 Plus, mums are one-hit wonders—and short-lived ones at that. 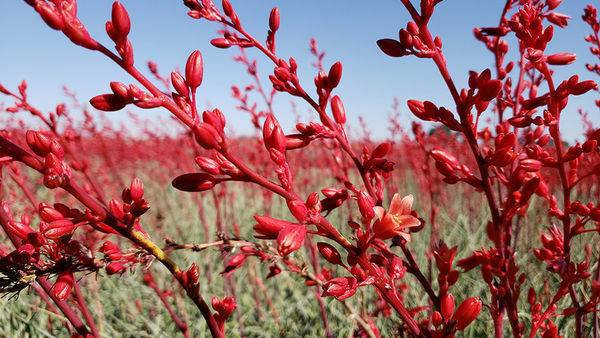 Once in full bloom, they look great for only a few days before their flowers start to fade. And if it rains, the whole plant turns to mush. 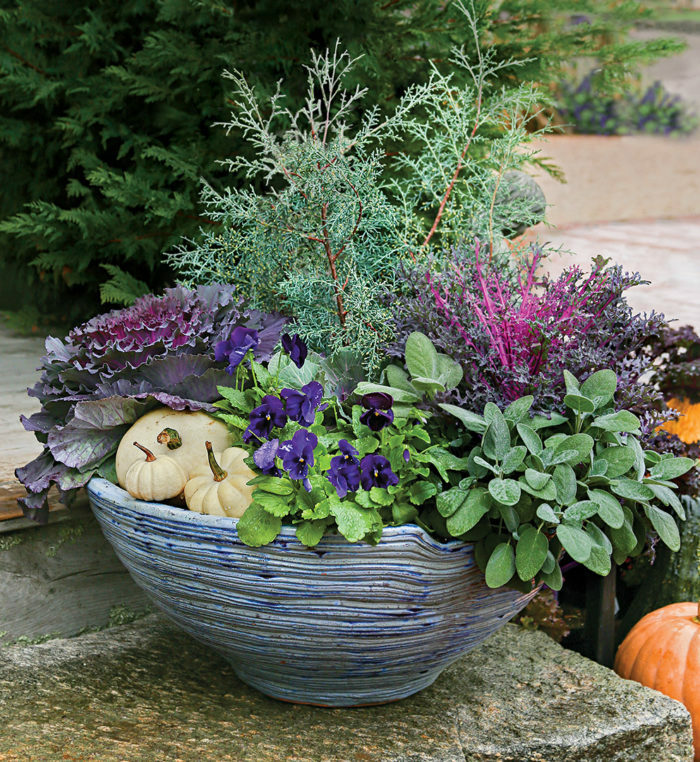 Last year, I decided to see what I could do in a fall container without leaning on the mum crutch. 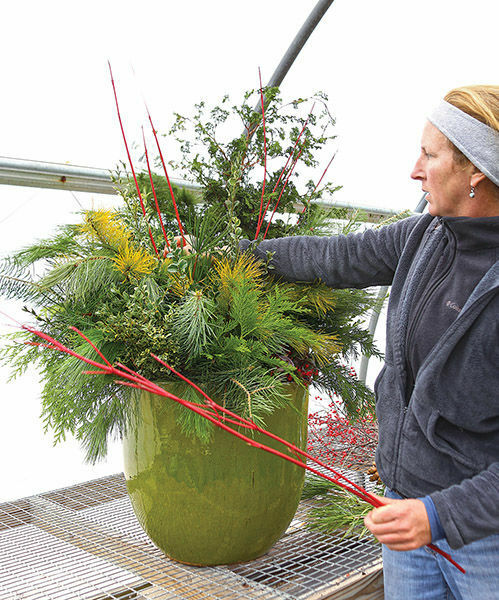 The designs that I came up with use plants that offer great color and texture for the entire fall season (and even through a couple of frosts) without flagging. 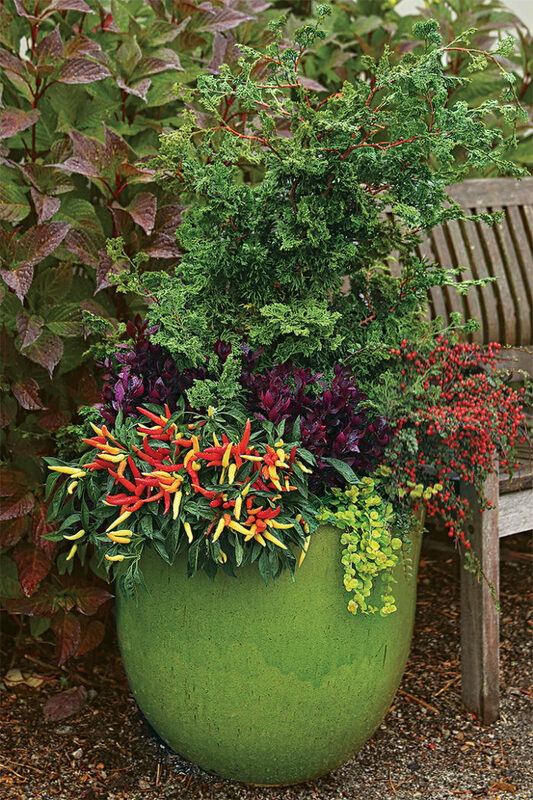 From cool and collected to lush and edible, these containers prove that mums aren’t the only game in town as temperatures start to cool in fall. Image above. An evergreen shrub is the perfect anchor for a smattering of fall colors, provided by the fruit of an ornamental pepper; the berries of a dwarf cotoneaster; and the deep, sultry foliage of an alter-nanthera. 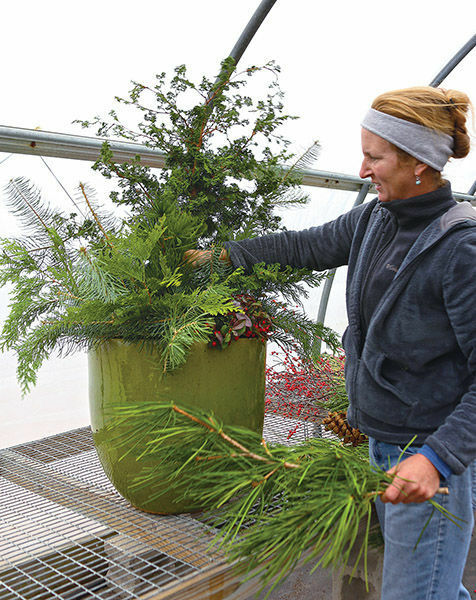 As each companion plant starts to fade, it can be composted or planted out in the garden, then replaced with plants, branches, and accents that will keep the container going strong long into the winter months. 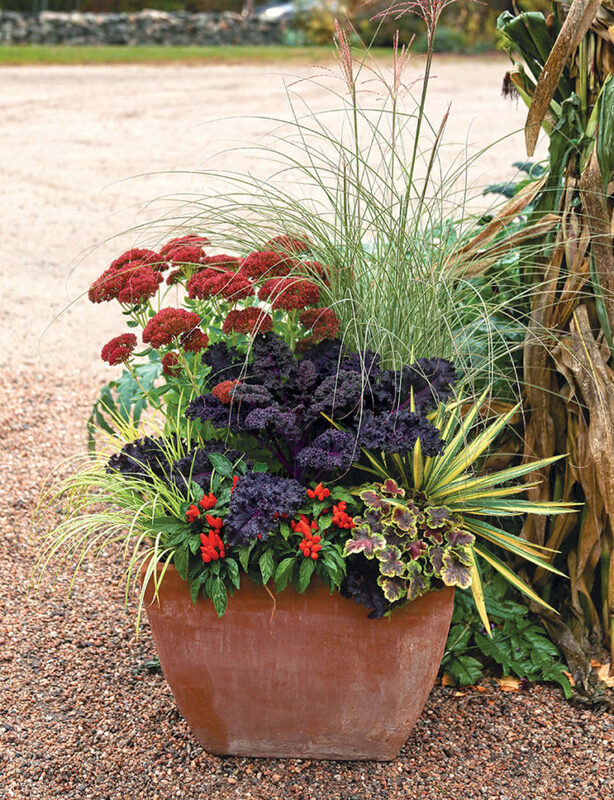 This container is a mix of extrahardy perennials that can be left in the container all winter or planted in the ground after they fade. 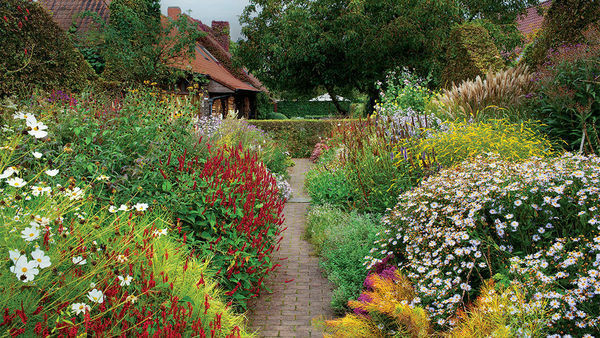 They all have great fall interest—from flowers to foliage to plumes—and each one will change as the season progresses: The grass plumes will get fluffier; the sunflower will bloom even more; the bluestar foliage will turn golden yellow; and the bergenia and heucherella will take on brighter, redder hues. 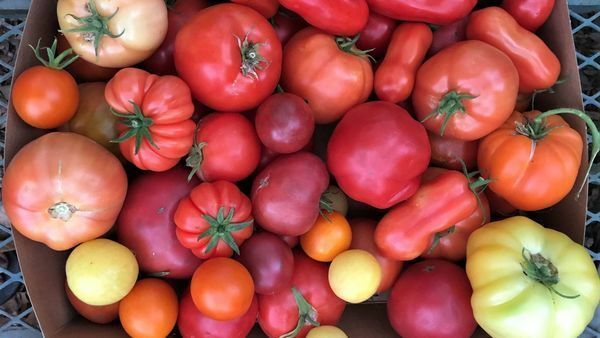 Fall is a bittersweet time for vegetable gardeners. It’s nice to have a rest from cultivating the garden, but the thought of having to get veggies from the grocery store again is just a bit depressing. 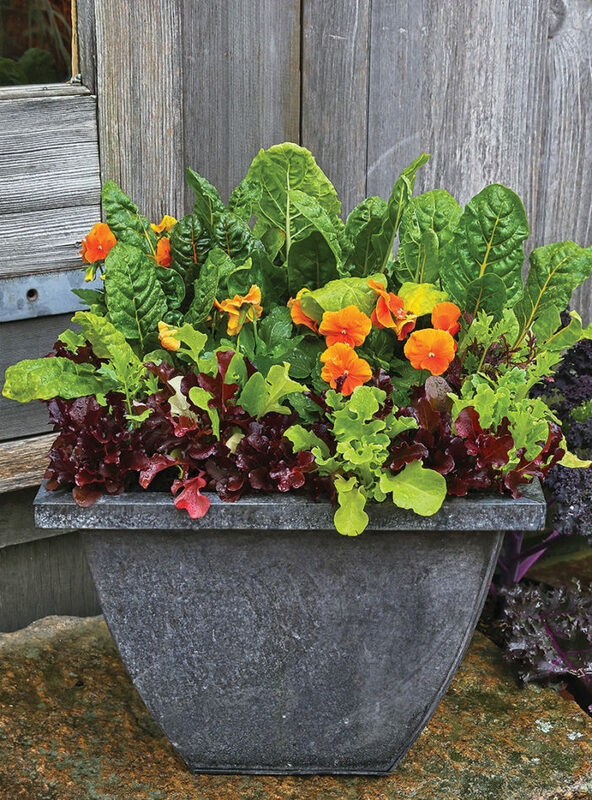 As you’re disassembling your vegetable garden, why not move just a slice of it to your doorstep? This design will withstand a light frost, and all it needs is a light harvesting now and then to look its best. 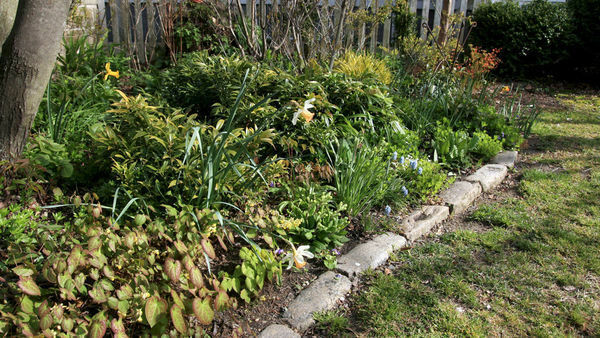 If a heavy frost is forecasted, cover the plants with a sheet or a bit of landscape cloth until morning to keep them going just a bit longer. 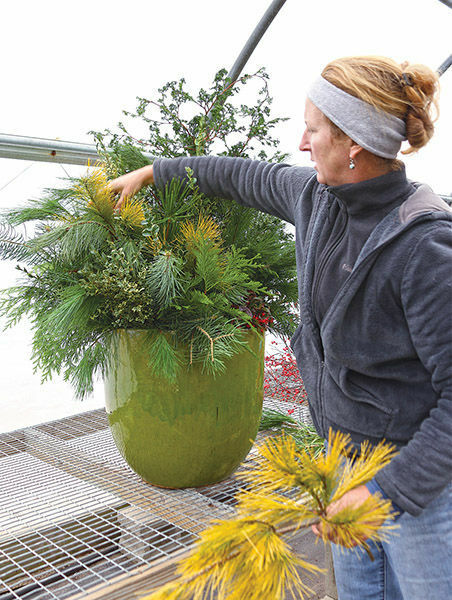 As the fall plants in the container design on page 38 began to fade, I started making plans for the container’s next act, gathering plants and materials that would usher in winter with cheerful color and texture. 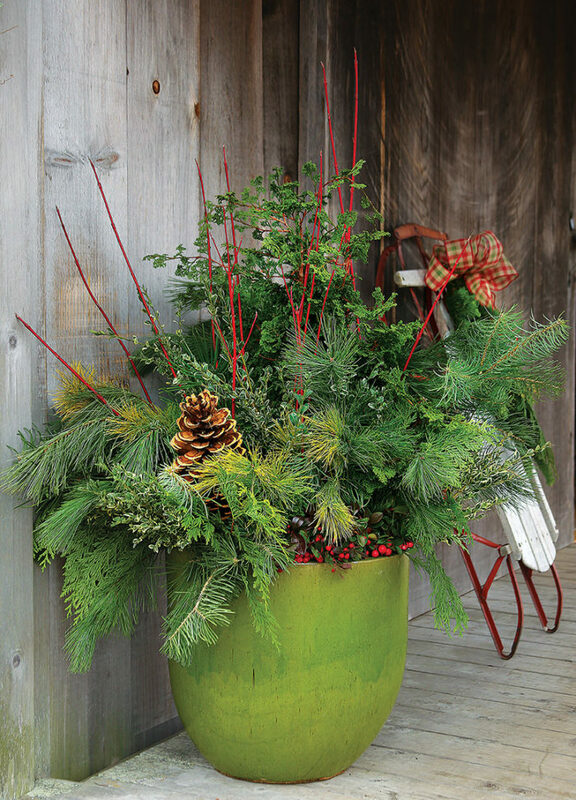 Many of the materials that you need for a winter container can be gathered from your garden. Prune a branch here and a branch there, and before you know it, you’ve got armloads of raw materials. 1. Plant some wintergreen (Gaultheria procumbens, Zones 3–8) along the edge of the pot to add seasonal color. 2. 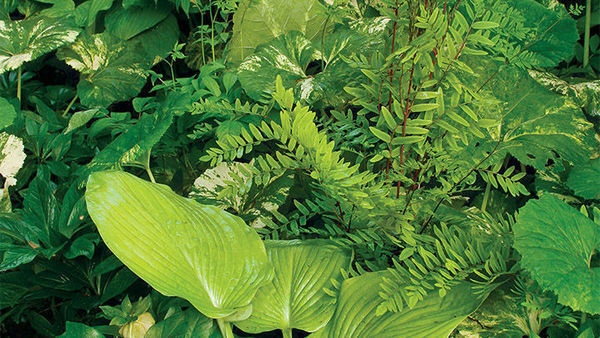 A variety of evergreen branches provides layers of texture. 3. 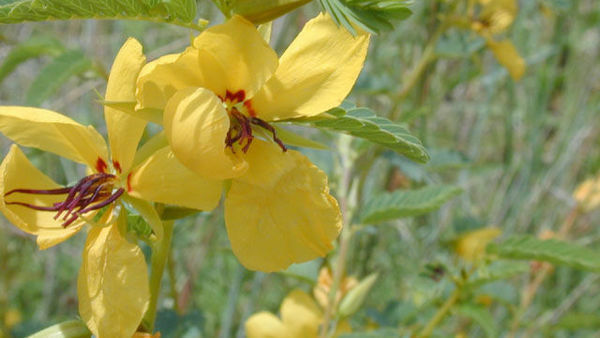 Dashes of yellow break up the mass of green and pick up the yellow highlights in the container. 4. Redtwig dogwood branches (Cornus alba cv., Zones 2–8) finish off the design with lines of festive color. 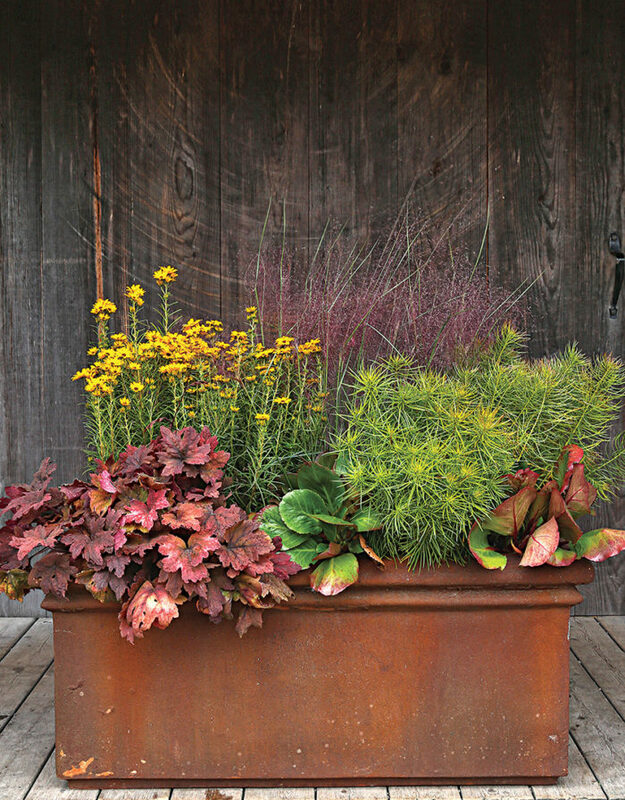 Most fall containers heat things up with tones of red, orange, and yellow. This design cools things off with plants that celebrate frosty mornings. This blue, silver, and white color scheme might not be traditional, but it is refreshing. And all of the plants will last until the weather is truly icy. Color isn’t the only exciting thing fall has to offer. As colors fade, textures take center stage, and a well-balanced mix of textures can be just as pleasing as a riot of warm hues. This design has the best of both worlds: punches of warm, seasonal colors and a variety of pleasing textures. 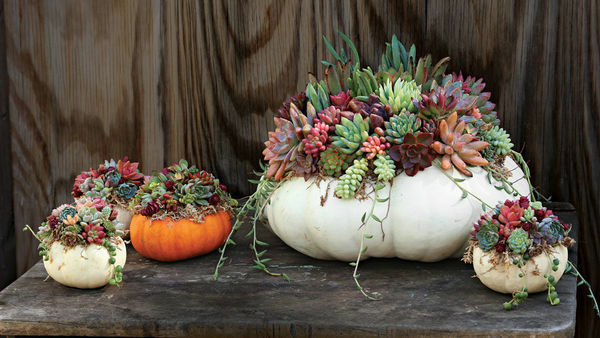 All of the plants weather well, lasting until late fall: The sedum will transition gracefully from flowers to seed heads, the kale’s dramatic color will deepen as temperatures drop, and the pepper will shrivel and dry while retaining its color. 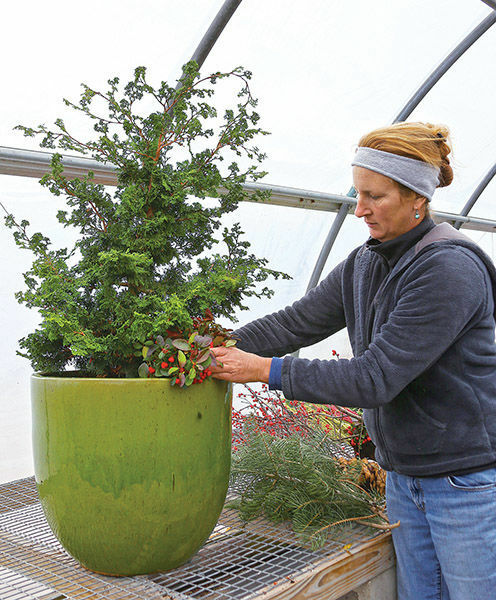 Sarah Partyka is the owner of The Farmer’s Daughter, a nursery in South Kingstown, Rhode Island.